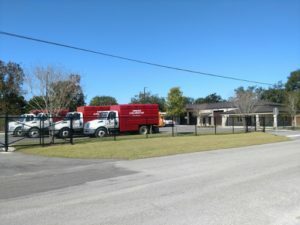 Trees Unlimited, Inc. is a professional tree care company serving Northwest Florida since 1985. We are dedicated to providing our clients with the most professional tree care that the area has to offer. We also strive to continue to educate ourselves in all aspects of tree care, so that we may continually exceed our customers’ expectations. We are constantly dedicated to raising the standards of tree care practices through continuing education, proper training, quality customer service and state of the art equipment. What and Who is an Arborist? An arborist is someone who is trained in the art and science of planting, caring for and maintaining trees. ISA certification is a voluntary process where individuals can document their base of knowledge in the industry. This certification is testimony to the individual’s knowledge and ability to provide proper tree care to the customer. Acquiring this certification requires learning through experience and bookwork to be able to pass a comprehensive exam that has been developed by some of the nations leading experts in tree care. In order to maintain their certification, arborists are required to continue their education. Therefore, they are more likely to be up to date on the latest techniques in arboriculture. All of our sales people are trained in the industry and are ready to offer the best advice and recommendation possible for your specific needs. We believe in providing our customers with the best in service and quality of work to ensure continued happiness and safety. We have a large base of return customers that are repeatedly satisfied with the quality of our work and our professionalism. When you contact our office, we will take your information and submit it to one of our arborists. They will contact you to get a general idea of the service you are seeking, and schedule a time to meet with you. They will do a walk through on your property and review everything you want done. We will provide advice on any trees on the property that appear to need attention. After the work has been approved and completed, the representative who helped you will follow up with a phone call and provide a walk through if necessary. This is to ensure that our clients are satisfied and all work was performed to the specifications of the contract. Everyone at Trees Unlimited, Inc will do anything we can to help our customers. We pride ourselves on providing the highest quality customer service. We look forward to working with all our new customers, and continuing to provide our service to all current repeat customers. We service Fort Walton Beach, Shalimar, Niceville, Valparaiso, Crestview, Destin, Miramar Beach, Santa Rosa Beach, 30A, Grayton Beach, Seascape, Seagrove Beach, Dune Allen Beach, and Freeport, Florida.